This is a good season for reasonably bright supernovae. 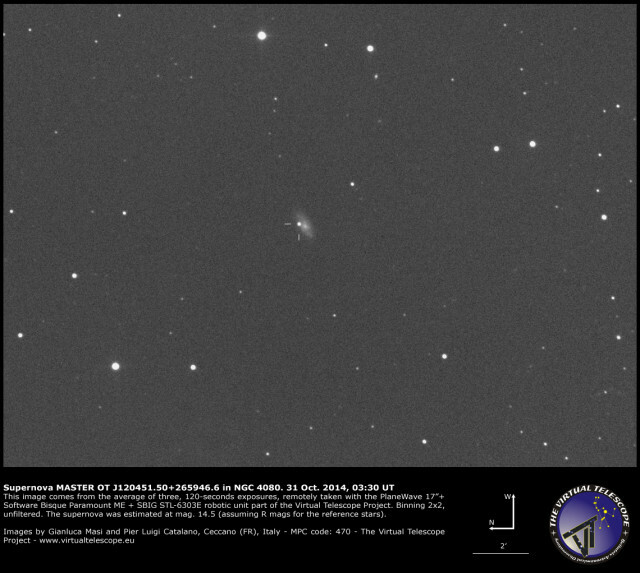 Just before SN 2014dt in Messier 61 was discovered, another bright supernova has been found in NGC 4080, named MASTER OT J120451.50+265946.6 after the survey which discovered it on 28 Oct. 2014. 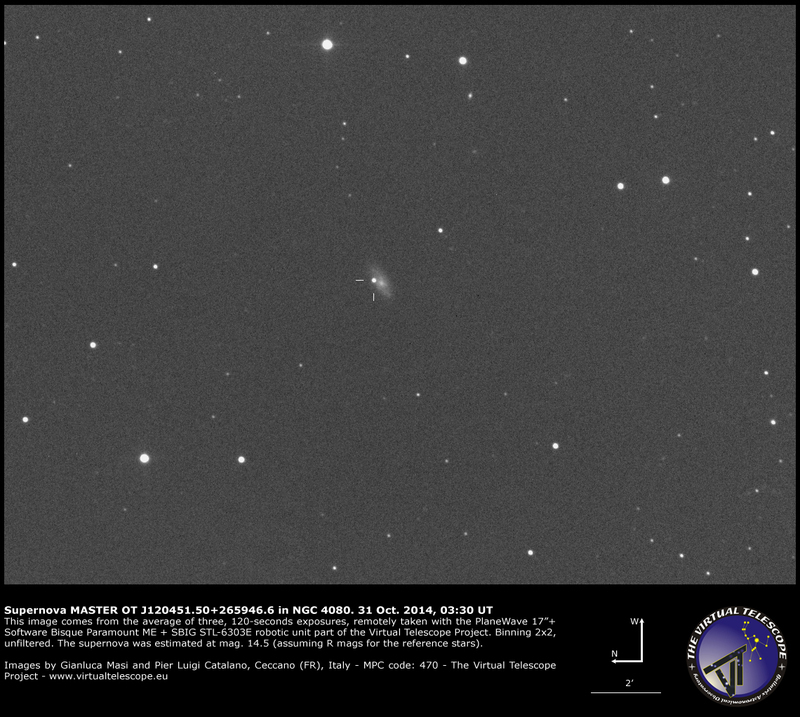 The picture above comes from the average of three, 120-seconds exposures, remotely collected with the PlaneWave 17″+Paramount ME+SBIG STL-6303E robotic unit part of the Virtual Telescope Project. The supernova was estimated at mag. 14.5 (R mags for the reference stars from UCAC-4).